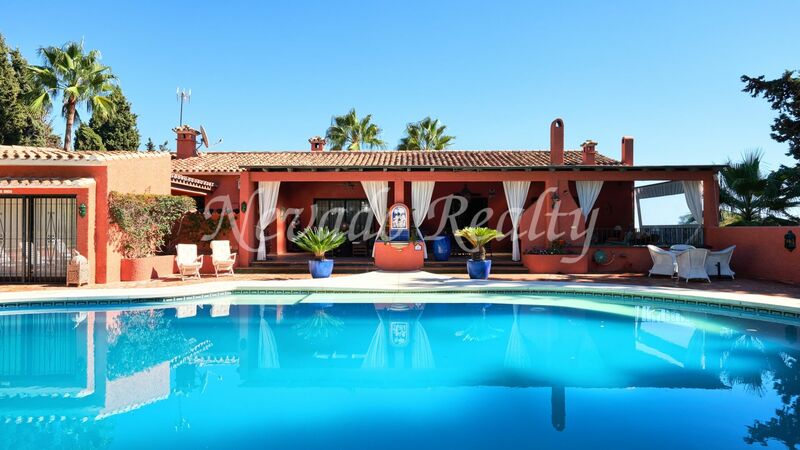 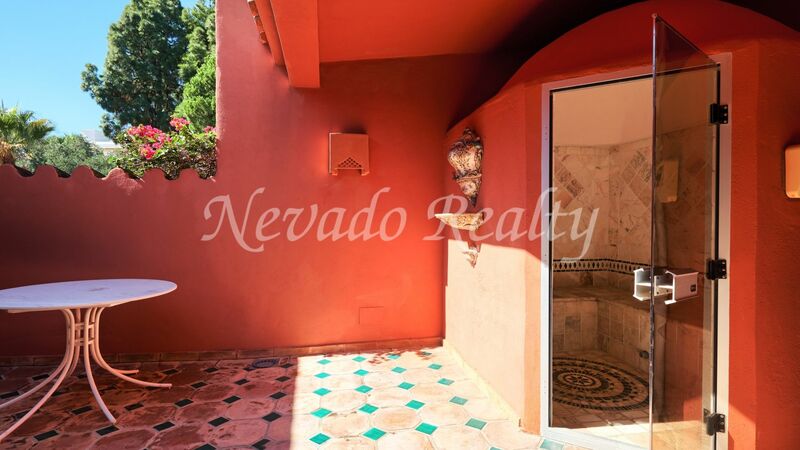 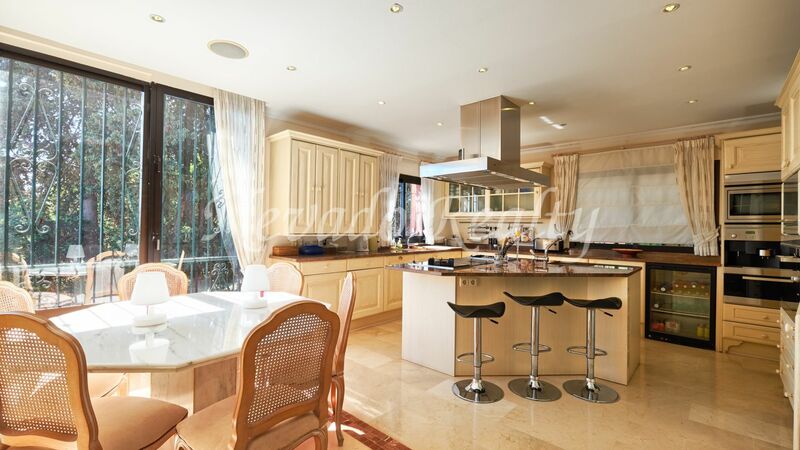 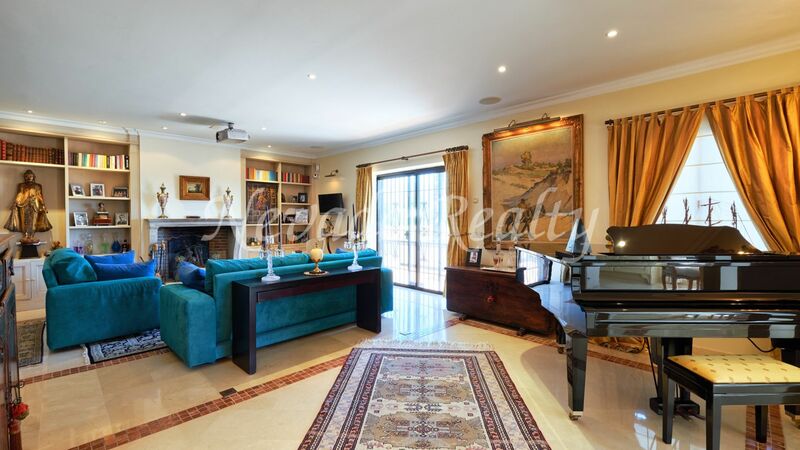 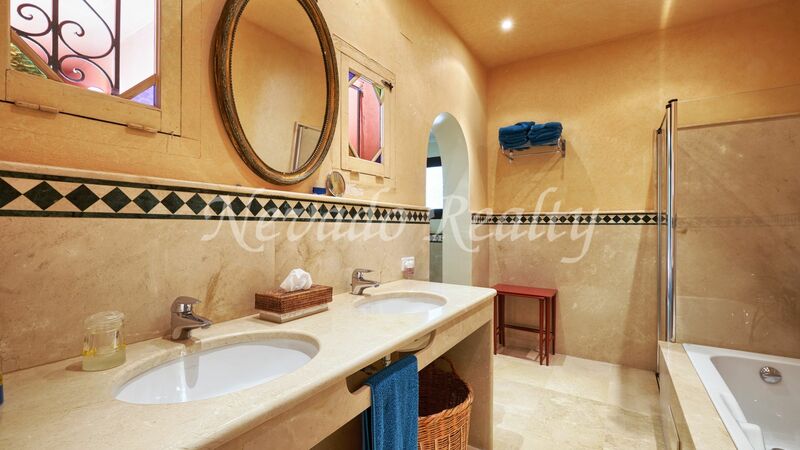 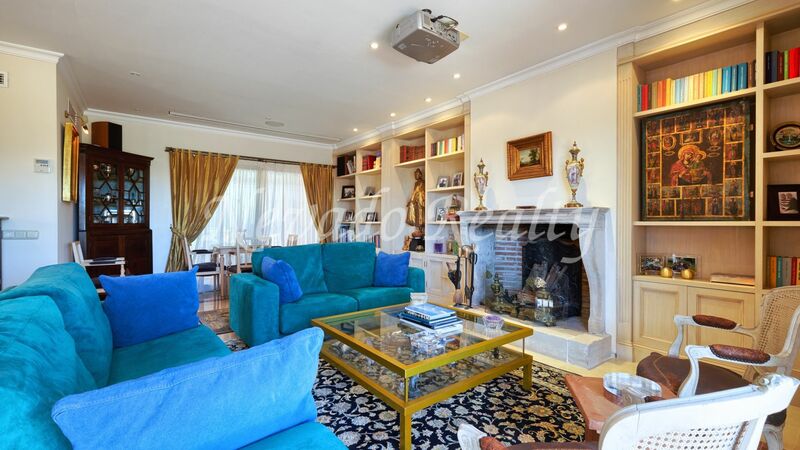 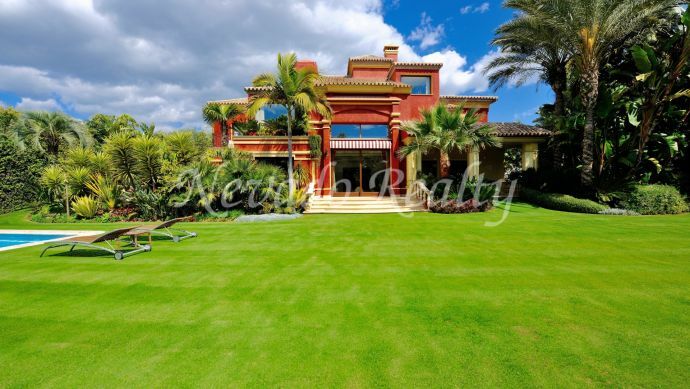 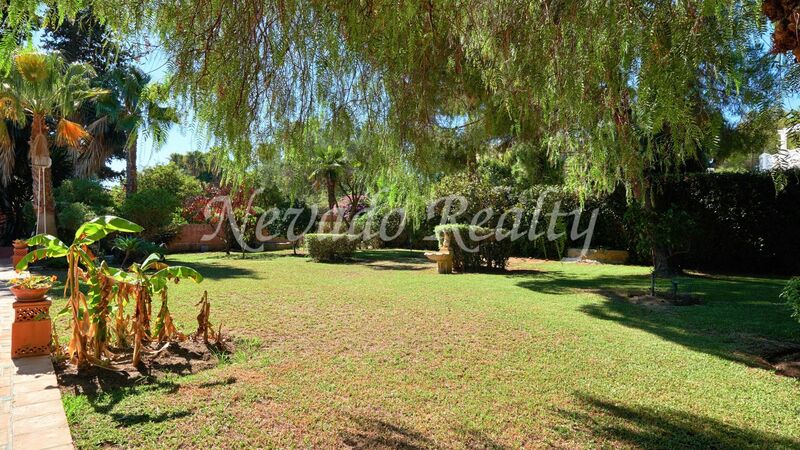 A unique property for sale in Lomas de Río Verde on a large plot of more than 2,000 square meters located a short distance from Puerto Banús and the beach, highlighting its privacy and tranquillity. 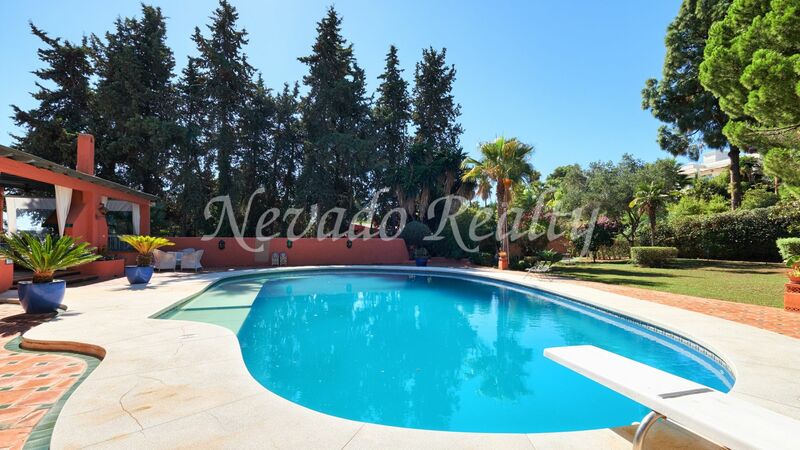 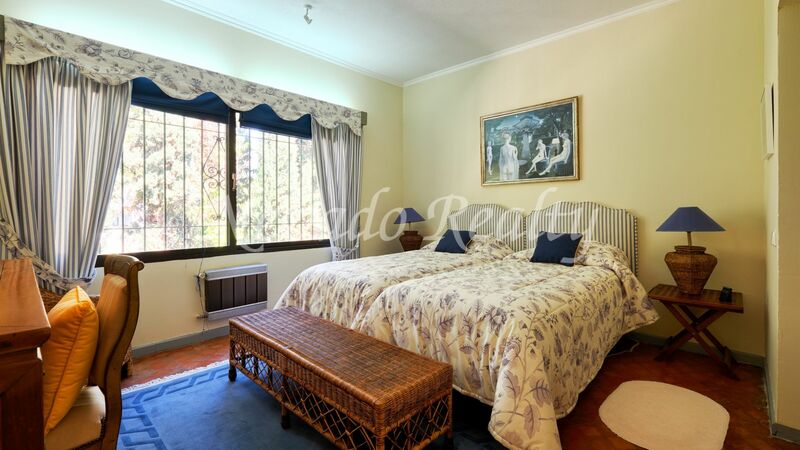 It consists of the main house and a guest house with a nice private pool surrounded by a mature garden. 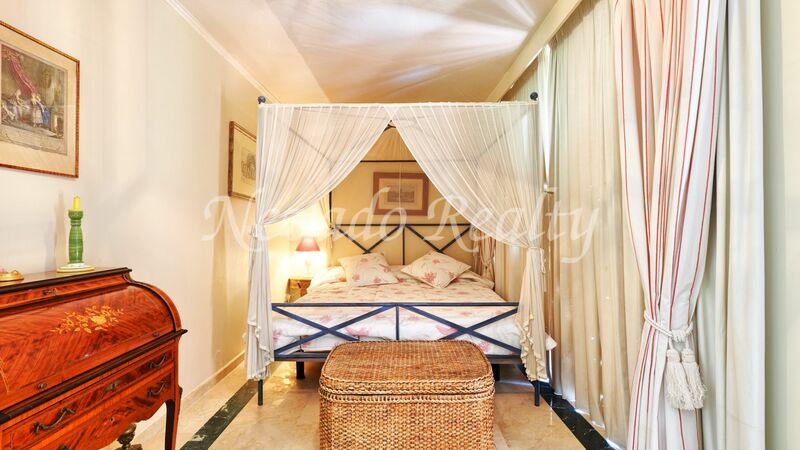 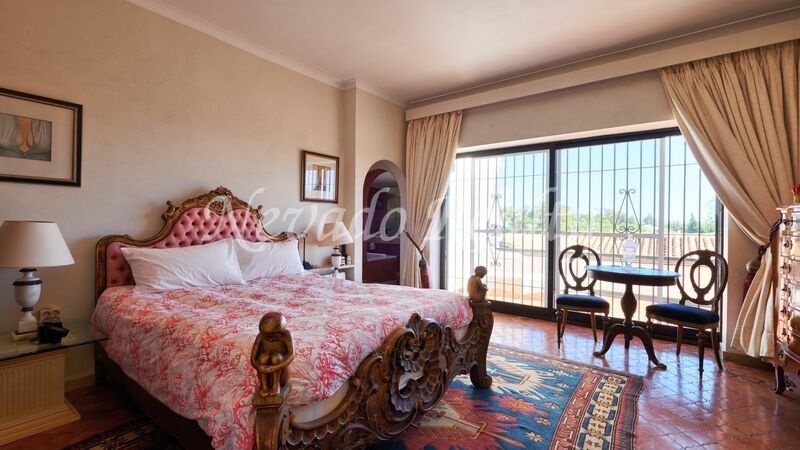 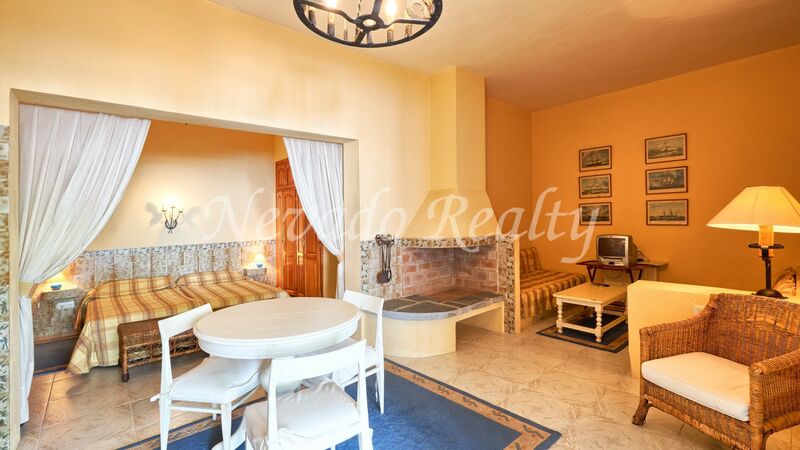 It has a lot of potentials as a hotel/boutique or as a private clinic with a total of 12 bedrooms. 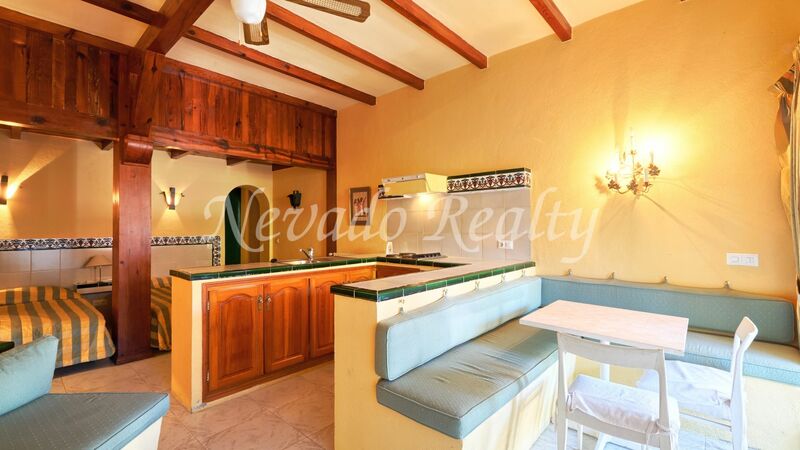 The main house consists of a living room, fully equipped and open kitchen, dining room, office, master bedroom with bathroom en suite plus 2 additional bedrooms that share a bathroom. 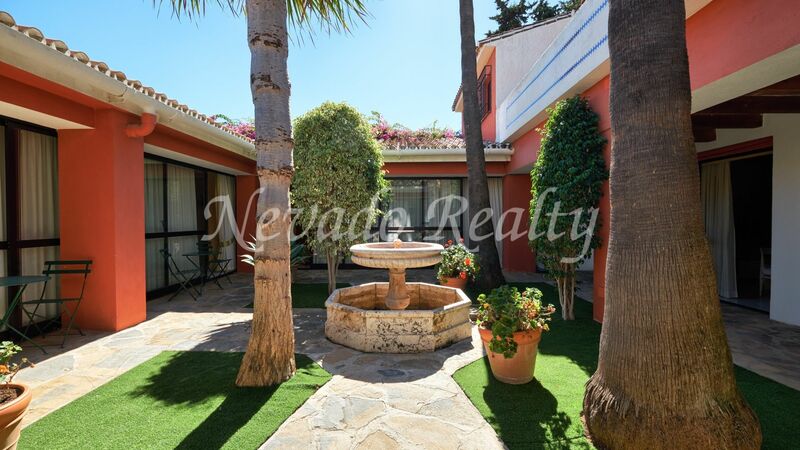 On the ground floor around a beautiful patio are distributed the 9 independent studios with living room, open kitchen and en suite bathroom. 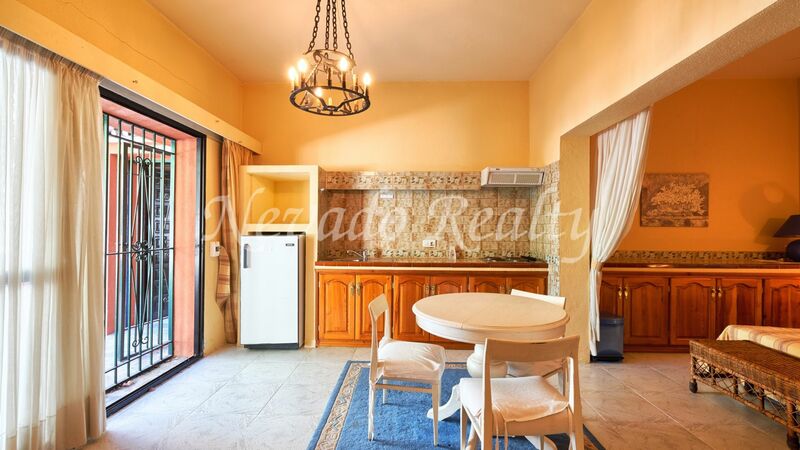 Additional features are A / C, heating, fireplace and barbecue area. 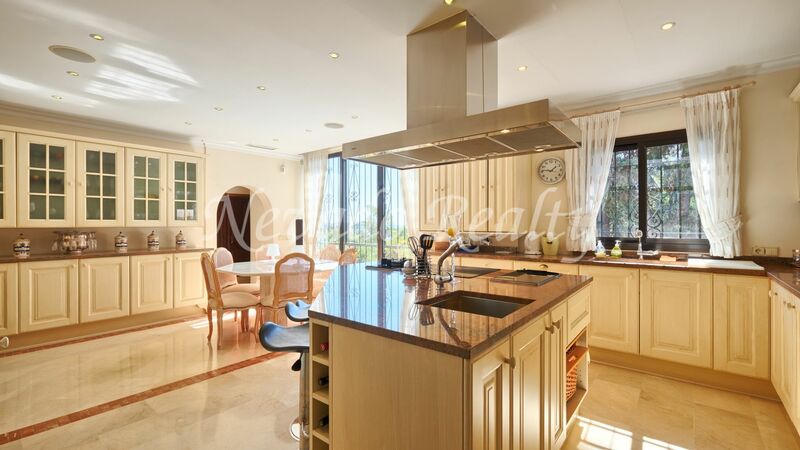 An ideal opportunity for business within walking distance to Puerto Banus and the beach with privacy and tranquillity. 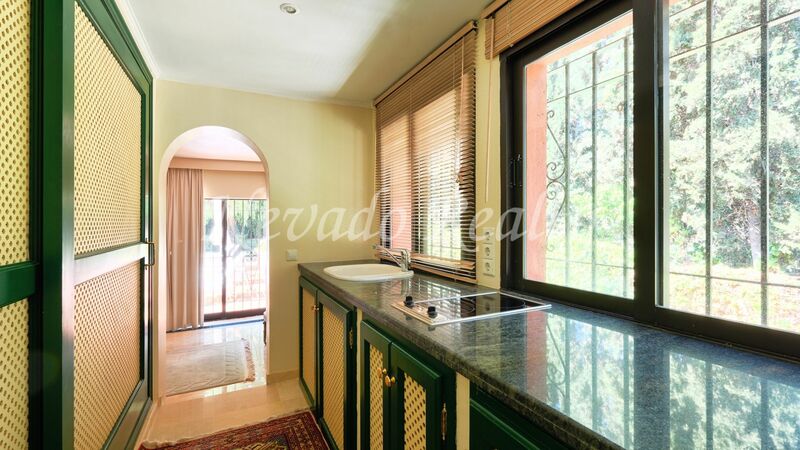 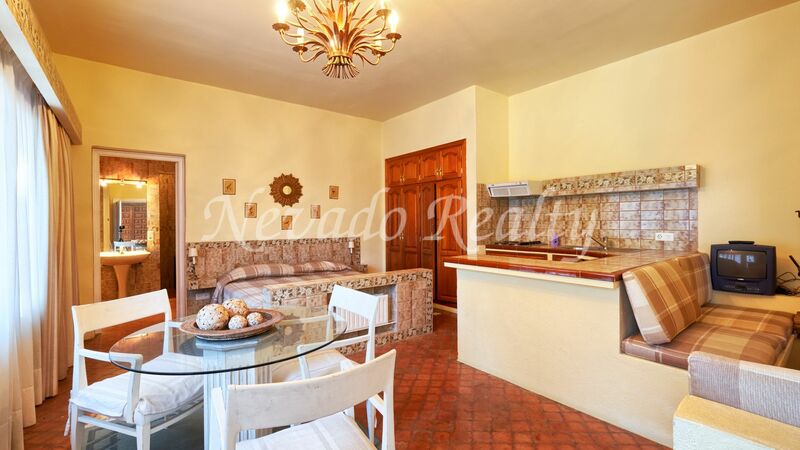 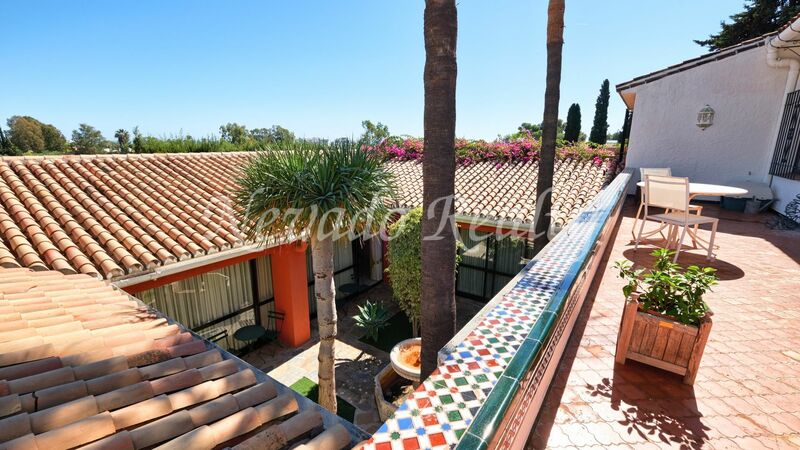 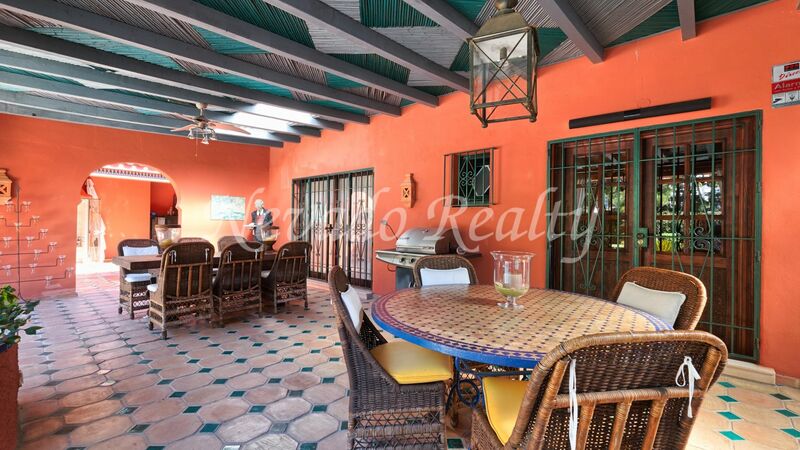 Please send me more information about ref 163-02713P, Villa in Rio Verde, Marbella Golden Mile Or similar properties.